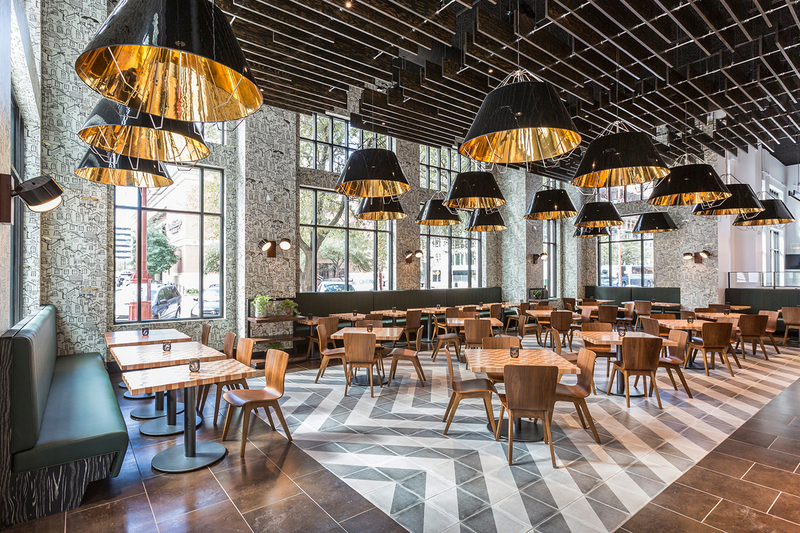 Osso & Kristalla, the new modern Italian trattoria from Houston Astros-Owner Jim Crane, is located in downtown Houston across the street from Minute Maid Park and next door to the more upscale, Potente. It’s fitting to have the restaurants so close to where the Astros play, since baseball is the great family pastime as much as gathering around the table is to enjoy a meal. In keeping with the importance of family, Mr. Crane named the restaurants after his three children. Osso & Kristalla is open for lunch, dinner, weekend brunch and happy hour and focuses on using only fresh and local ingredients. The kitchen is overseen by Executive Chef Danny Trace. 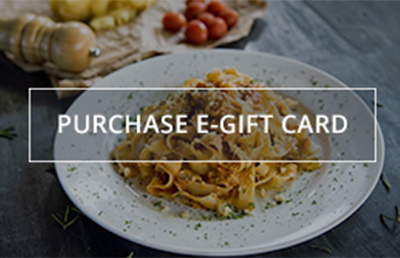 Lunch offers salads, wood-fired pizzas and pasta, and brunch boasts homemade pastries, Katz Coffee and healthy omelettes. At dinner, Osso & Kristalla transforms to a modern, yet relaxed lounge atmosphere with a full bar and extensive wine selection, all offered by the glass. Cocktails are served alongside shared plates, including arancini with marinara and the house favorite “polenta tots." The restaurant features an open kitchen which brings diners closer to the action to engage them with the food and the environment. The soft, rustic space, designed by Gensler, features a neutral, Italian aesthetic with a rough, sawn beam ceiling and custom wall covering. 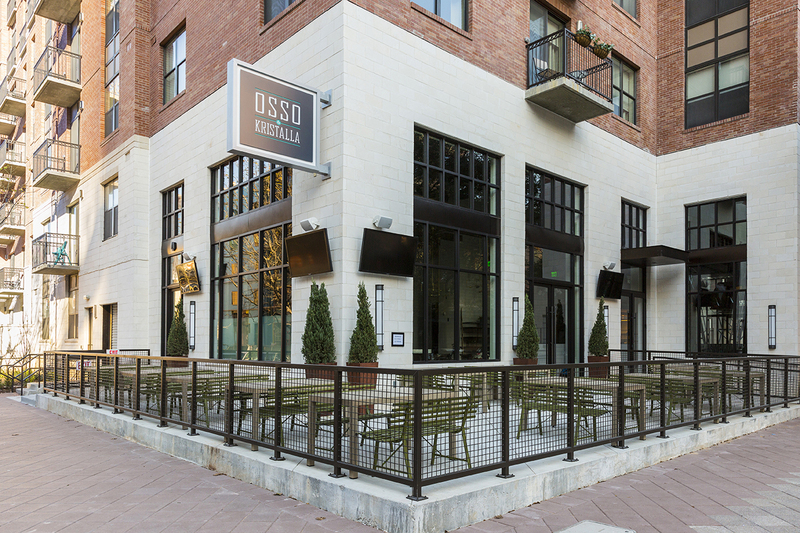 Osso & Kristalla’s playful and casual feel transfers to an outdoor patio, the perfect place for diners to soak in lively downtown Houston.